After being badgered by her friend Charlie, Emma Peterson gives in and joins her friend for a week in a Cornwall cottage. However, when Emma arrives, there’s no sign of Charlie. The cottage is desolate and barren. Charlie was supposed to have been here for a week, cleaning and sorting things out. After speaking with the police, they regretfully inform Emma that Charlie’s car and body were found flaming on a country road. Emma is devastated, but can’t quite believe what she was hearing. She is convinced it wasn’t Charlie in the car. As Emma investigates, she meets quirky villagers, makes new friends, and finds herself in the middle of a terrifying conspiracy. 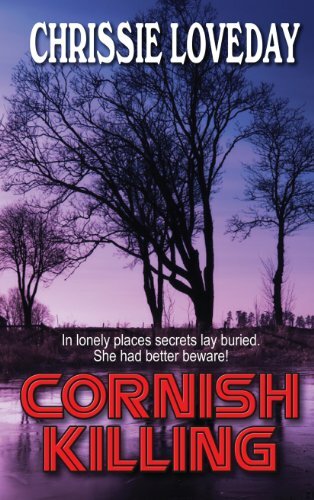 Will Emma find the truth behind the Cornish Killing? 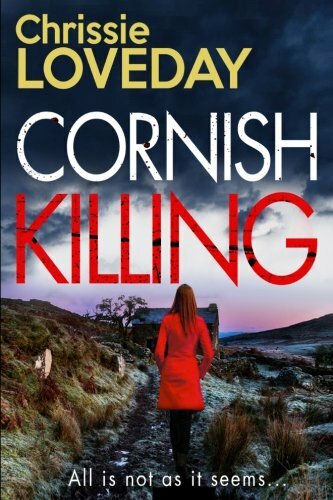 ‘Cornish Killing’ is a gripping murder mystery from bestselling author Chrissie Loveday. "I was gripped from the first page to the last." - Holly Kinsella. "A wonderful piece of story-telling." - Robert Foster, best-selling author of 'The Lunar Code'. Chrissie Loveday lives in Cornwall with her husband and two Jack Russell terriers. She has written almost fifty books, mostly romantic fiction, many of them set in Cornwall and other places she has lived.